We make unique copper tiles, brass and bronze tiles, kitchen backsplashes, metal house numbers, furniture hardware and wall decors. 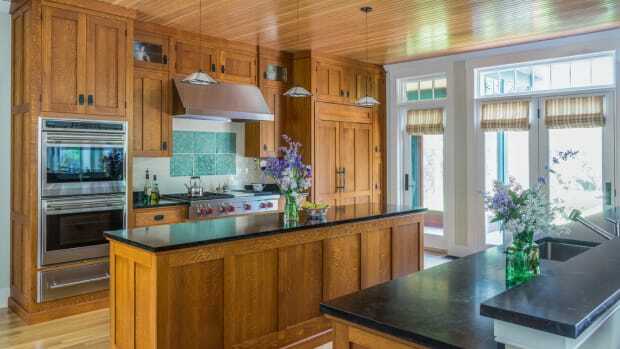 Quarter-sawn oak cabinets with a Stickley vibe are the anchor for this open, multi-zoned kitchen. Derby Pottery & Tile produces hand-pressed and reproduction tile for fireplaces, backsplashes, tubs, and shower surrounds. Their line recaptures the lost art of patterned relief tile enhanced by a colored transparent glaze.